On paper, a 1-1 draw with Liverpool represents something approaching progress, but the reality for Pepe Mel and West Brom is that the Baggies could be boing-boinging down to the Championship pretty soon. The Midlands club are 4/1 to suffer relegation from the Premier League this term, which is an extremely tempting price considering their current predicament. A run of two victories from 18 top-flight fixtures is alarming enough, but it’s their form since the arrival of Mel that has been even more concerning, with West Brom yet to claim a victory under the former Betis boss. The Spaniard was sacked by his previous La Liga employers following a run of eight games without a win which, when coupled with his current record with the Baggies, means the 50-year-old coach has gone 11 games since last overseeing a win. Sunday’s clash with Liverpool could and perhaps should have been far worse for the Midlands side, with striker Victor Anichebe gifted an equaliser following a poor pass by Kolo Toure. And it’s unlikely that any of their upcoming opponents will be so generous, with West Brom facing a crucial run of fixtures that could decide their fate and see odds of them playing in the second-tier next season slashed dramatically. Next up is a trip to Selhurst Park to face a Crystal Palace side priced as 11/8 favourites for victory following a run of three wins and a draw from their last seven. Tony Pulis has made the Londoners very hard to beat on home soil, with just one loss from their last seven as hosts. West Brom may be 2/1 for the win but after surrendering to a meek 2-0 defeat when the sides met at the Hawthorns in the FA Cup earlier this term, it’s hard to argue against another home win, with the draw currently 9/4. From there the Baggies host Chelsea, Fulham and Manchester United before tricky trips to Swansea and Hull. 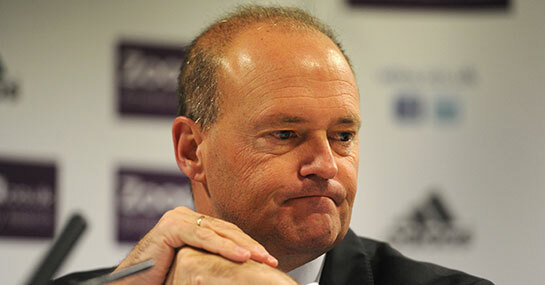 Pepe Mel is currently 40/1 to be the next manager to leave his post, but a loss to Palace coupled with a poor return from the aforementioned fixtures could see him out of a job and West Brom out of the Premier League soon enough.